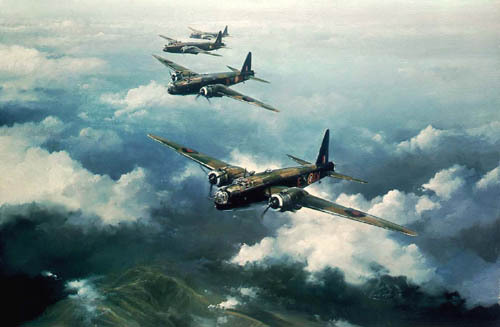 This rugged aircraft is portrayed by Robert Taylor on its way to Berlin as part of one of the large scale raids in 1943. We are fortunate to have one of these very rare and sought after editions in stock. It is in very good condition considering it's age and their has been no fading to the main image. The print has never been framed.